Control What You CAN Control. . .
We spend lots of time trying to control our Fears, Feelings, and Thoughts. But, we can’t. We can decide how long they will keep us stuck, but we just can’t stop them from popping up. And yet, we spend LOTS of energy trying to avoid them. Why not spend your time on what you CAN control? You do have a choice about your Aspirations, Attitude, and Actions. 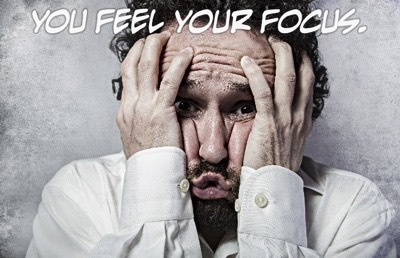 Focus there. 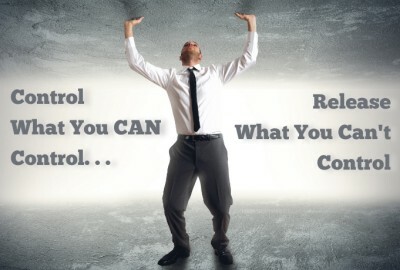 Let go of the things you can’t control and then choose to control what you CAN control. Do you focus on the threats and dangers, the “what’s wrong” of life? It is seductive. The “news” surrounds us with stories that can lead you to believe we are in danger at every turn. The “self-help” world tells us all the things that are “wrong” with us. And our brain latches on to those messages. Our brain gets sucked into the fears and threats. So why do we seem to miss all that is “right,” going well, and good? The “Amygdala Hijack” is to blame. Unless we choose our focus, we will become focused on the fearful, the dangerous, the threatening. And we will miss the beautiful, the hopeful, the meaningful, and the inspirational. Let’s talk about how you limit your exposure. Let me tell you about 5 ways to take back your brain and your mind from the Amygdala Hijack. I thought we were doing well. The conference was going well. I thought the participants were happy. But sometimes, you can tell by the expression. . . .
With that, she turned and stormed out. For a few moments, I was in shock, not quite sure what to do with that. Then, I decided that maybe it was good advice. 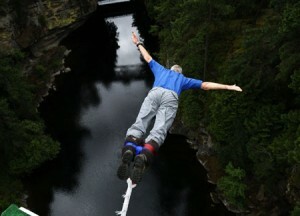 I should take some leaps! 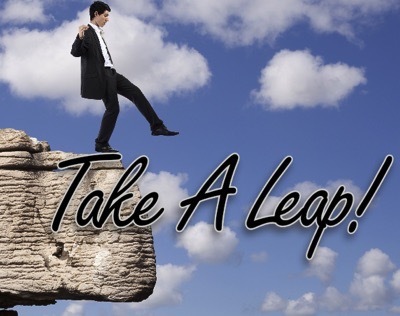 We should ALL take some leaps! Take some risks, push our comfort zones, grow, stretch. We think fear is our friend. We listen to fear. Whenever we feel fear, we are tempted to believe we should stop, retreat, and be safe. 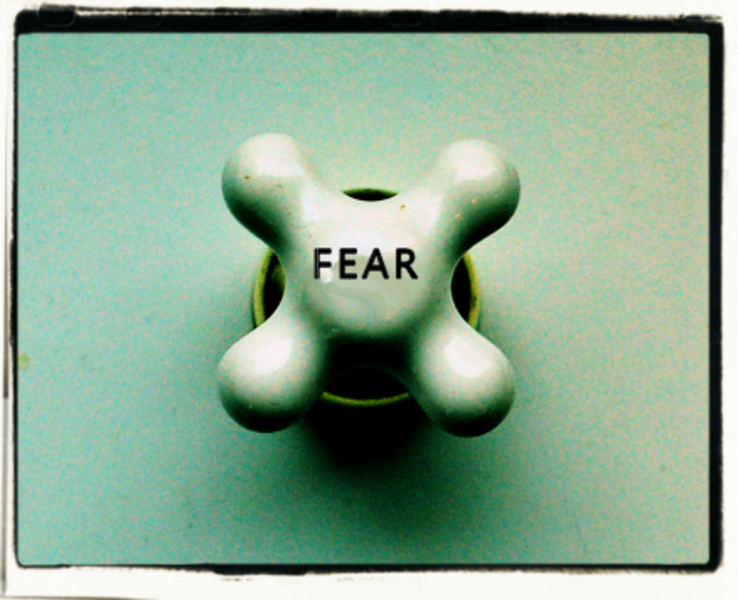 Too often, we believe fear is an Avoidance Detector. I believe it is an Importance Detector. Fear points out when something is important. Maybe we need to be careful and avoid it. But maybe we need to pursue it, because it is important. Whenever we feel fear, it is telling us something is important. What we do with that is up to us. Today, I explore how to make fear your Importance Detector. 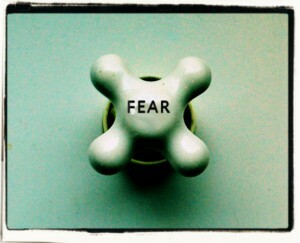 Fear isn’t something you can just turn on or off. It is a fact of life. The only real question is how much fear is going to run your life. Unfortunately, fear is pretty good at acting like a friend, pretending to protect you. Instead, fear just keeps you playing smaller than you should. Fear keeps you from giving the world all that you have. Oh, and here is the interesting thing: the bigger that task, the bigger the fear. The more important it is to you, the more you will feel the fear. And the more the fear will pretend to protect. There is not enough time, though, in life, to not live fully. There is too much that each of us has to give, that each of us needs to become. 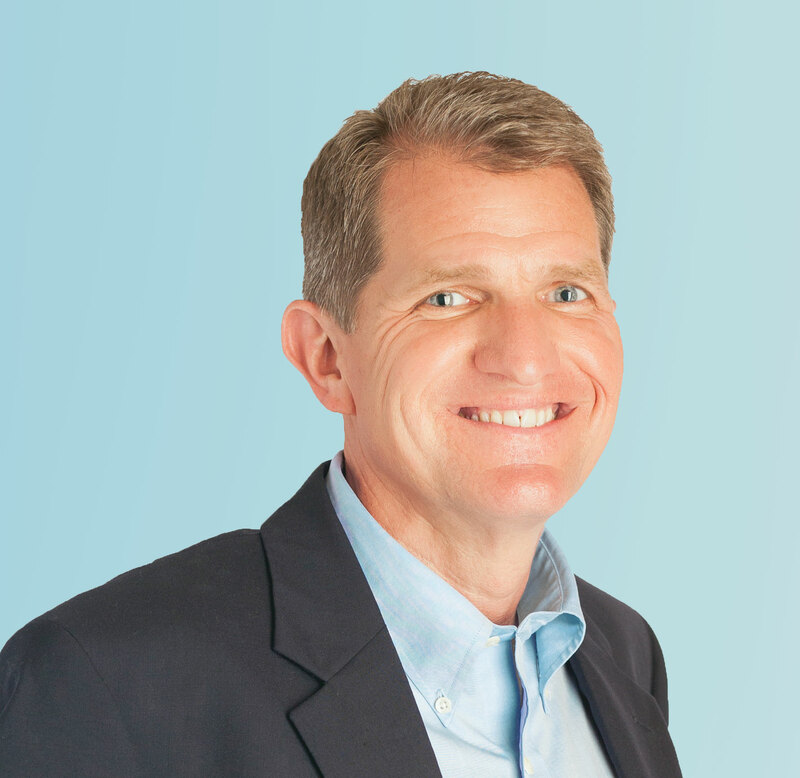 Join me in this podcast as we explore the ways that fear holds us back. . . and what to do about it! Let me know what you think. Leave me your thoughts in the comments area below — and spread the word! Rule 12: It’s never too late to be what you might have been. this is one of my favorite quotes. He reminds me that we are never finished developing into who we want to be. Who we are becoming is a constantly changing and developing piece. We are always growing, changing, and becoming more and more of who we are. Were reading about how Michelangelo talked about his creating a sculpture. He said that he looked at the rock, decided what was in it, then chipped everything else away. In other words, he was looking to see what the rock was supposed to be. That’s what we do. We are constantly seeking to find what we are supposed to be. Then our job is to get rid of everything else. We grow up becoming who others want us to be. Then one day we look around, realize that the path we have been on has not been ours, and we have to make a decision. We have to decide whether we will continue following someone else’s path or whether we will start our own path. Sometimes, people decide that it’s too late in life to change paths. Too bad. When we realize that we were on the wrong path, then we have a chance to take the right path. Sometimes, we just know that were not on the right path, but we don’t know what the right path is. That’s when we have to get rid of the things that are in our way of discovering a new path. That’s when we have to chip away all that doesn’t belong. Once we do that, our path becomes much more clear. In fact, what we discover is that fear has kept us off the right path. Fear has kept us from doing and being who we want to be and what we want to do. Until we face that fact, we keep ourselves from being who we could be. More importantly, we keep ourselves from the being who we want to be. Perhaps, we even keep ourselves from being who we should be. It’s never too late to be what you might have been. Decide if you are on the path you want to be on, or if it’s time to change paths. OK, let me say just a bit more: “Mistakes don’t matter. How you deal with them does.” You see, we often get so caught up in fearing that we will make a mistake that we don’t stretch. We stop ourselves before we even begin, or we freeze up in the midst of trying, all because we might make a mistake. But that really is the nature of life. We make mistakes, pick ourselves up, learn from the mistake, then move on. Dweck distinguishes between the fixed mindset that refers to our expectations that we have innate skills, natural abilities. A mistake would seem to be an indication that we lack in skills or ability from this frame. So, for instance, a child is told that she is a “natural athlete.” As time goes on, the child fears that she cannot live up to that, so she either quits trying or constantly works to prove others right. In either case, she comes to fear making a mistake. The “growth mindset,” on the other hand, is the (correct) belief that we are all growing, developing individual capable of learning new skills and ideas. In that frame, a mistake is just part of the process of learning. In fact, mistakes may be one of the best ways of learning! I help teach SCUBA classes. In the beginning, I ran around trying to make sure the students made no mistakes. Then the instructor pointed out that the students needed to make these mistakes in our controlled environment, so that they did not make them when it mattered. I broke myself (mostly) of that habit, and instead turned to the idea of helping the students learn and recover from the mistakes. I believe they are much better divers now. As Wayne Gretzky said, “You miss 100% of the shots you never take.” Start taking the shots! Make some mistakes, then decide what to do about them! Today, the question that can help you challenge your fears when thinking about doing something. You see, fear pretends to befriend and protect us. So it whispers into our ear all kinds of thoughts about not doing something because “something could go wrong.” But in actuality, there isn’t much fact behind the images of utter destruction. So, the question is “what’s the worst that can happen?” Then think through the answers. Are they really that bad? If they are, and it isn’t your exageration from fear, then perhaps you shouldn’t do it. 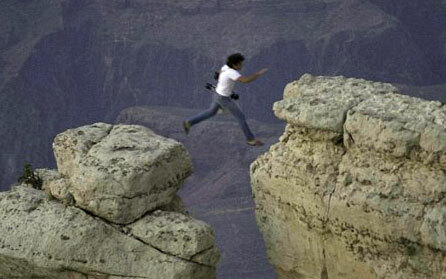 Say you are standing on the edge of the Grand Canyon and you want to jump to a rock outcropping 6 feet out from you. You are scared, but still thinking about it. You ask the question: “what’s the worst that can happen?” And you answer “Oh, I don’t know, a 5000 foot drop.” Then, your fear was well-intended! But let’s face it, that is not the typical situation. No, our fears are normally about non-lethal situations. In fact, our fears often only serve to constrict our lives, keeping us from growning and developing. That is when the question is magic! How about this one: someone asks you to give a short speech during a business gathering! Fear whispers in your ear “I’ll mess that one up. . . that’s scary!” Quickly, you find a conflict on your schedule, a reason why that is not going to work out. But what if you asked the question “what’s the worst that could happen?” and you were realistic? The worst may be that your words don’t come out as clearly as you would like. Or people won’t agree with you. Or you will die of embarrassment (there has never been a verified case of this!). OK, so maybe your words don’t come out as clearly as you would like. Maybe your tongue gets tied, but haven’t you seen others do the same in a speaking situation? Even presidents get tongue-tied and say the wrong things. But they are still presidents. In other words, there is likely far less risk than you think. You answer the question, you face your worst fears, realize that they aren’t so bad, and you decide to take a risk. That is the nature of life, growth, and learning. That is how we develop into better humans. So ask the question, question the answers, and see that fear isn’t the friend it pretends to be.